Kids love comic books. That’s a given. And I mean kids of all ages. That’s one thing I’ve learned having a husband and young children in my life. My husband and son will often set off to explore a comic book shop and pick up issues of The Amazing Spider-Man and Saga (which, incidentally, is illustrated by Calgary artist Fiona Staples). They also have fun enjoying the various local comic-related festivals: the Calgary Comic and Entertainment Expo being the biggest. My son loves comics so much that he has already started creating one around a character called Fat Man. Not terribly politically correct, I know, but, let’s be honest, comics aren’t renowned for their political correctness. There’s a new festival this weekend that you might want to check out if you love comic books, too. #P1CCF Panel One Comic Creator Festival takes place at the Hillhurst Sunnyside Community Association (1320 5 Avenue, N.W., Calgary) on Saturday, June 4th, noon to 7pm. This festival’s purpose is to showcase homegrown Canadian comic creators and their work. 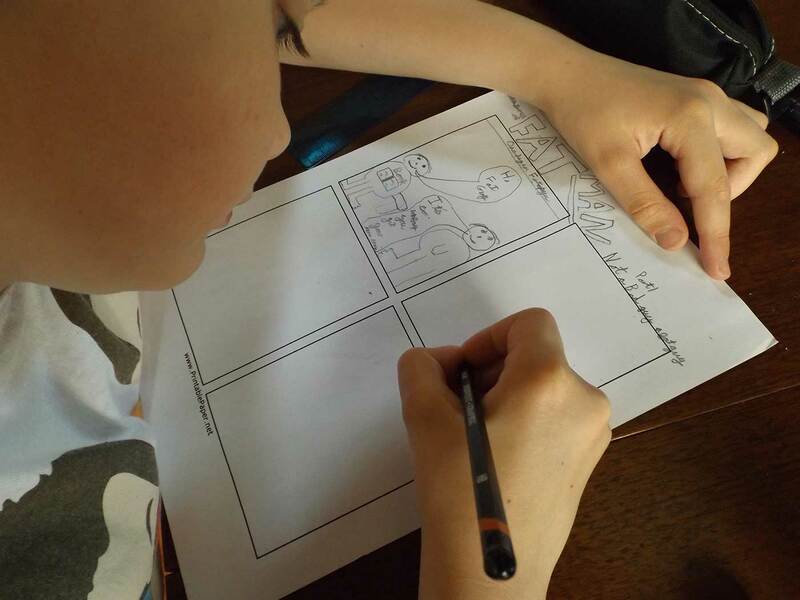 Events on offer include a make-your-own comic session for kids, various creative art and writing workshops and an exhibition of work by local creators. It’s an excellent way to support your local comic arts community, so why not make a day of it. Admission is a reasonable $5, $2 with a non-perishable food donation. It’s free for children under 12. Money might be tight right now but the arts should always be supported. Thank you, Sir Winston. That sums it up nicely.